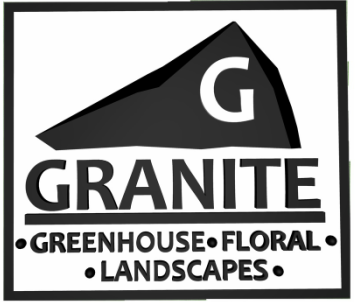 At GRANITE GREENHOUSE we have all the materials you will need to brighten up your home and yard for this 2016 planting season. We will have annuals for sale in May and June at our same location in Granite Falls. We are still constructing our nursery over the course of this summer so please bear with us as we build a completely new atmosphere and environment out of mostly recycled buildings and materials.... for your shopping pleasure!. Annuals - We have individual annual bedding plants come standard in a 4.5" container, 4 packs, and hanging baskets! We have a great selection of both standards and new plant varieties for sun or shade. Perennials - We also have a large selection of perennials to choose from for all site locations. Perennials are great for those who desire "NO MAINTENANCE" while there is no such thing as no maintenance many of the perennials we have available are very "low maintenance" requiring little water and care and bloom throughout the season. It doesn't get better than that. Trees & Shrubs - Are you looking to shade your house or another area in your yard? Trees are a very inexpensive way to cut down on your energy cost and provide you with a nice cool spot to sit in on the humid summer days. If you need to stop some wind, a hedge of large shrubs is a great alternative to a fence. It will likely last longer, is more appealing to look at, will probably require less maintenance as it ages compared to a fence and provides habitat for the local wildlife. Bulk Landscape Products - We offer shredded wood mulch and landscape rock in a number of different colors and sizes. There is also black dirt, compost, sand and other items for you to create your own soil mixtures. Hardscape Materials - Hardscapes are the patios we walk on and the retaining walls terracing our yards. We will have, on hand, a number of different styles and colors to choose from. If your looking for something specific its just a couple days wait on shipping and we can have it at your doorstep. Hanging Baskets - We have a variety of colors/plant mixtures to choose from for shade or sun. Custom Potting - This is a great one for the early birds.......you bring in your planters early in the season. We have a quick discussion about the location of the planter and what colors you would like....and we grow it in our greenhouse until the weather warms up. This is the way to go if you like big and beautiful without the wait. Decorative Planters and Metal Garden Art - We have a large selection of pottery and metal works available for any yard. We have trellis's, arbors, benches, tables, chairs, baskets, urns, animals, flowers, and obelisks. Looking for something special? These items can also be special ordered by request. Our Greenhouses & Nursery is located on the edge of Granite Falls at the corner of Hwy 212 and Hwy 67. Please stop out and see us at either here or at our Granite Floral location in Downtown Granite Falls! Thank you for your interest in our company, products and services!